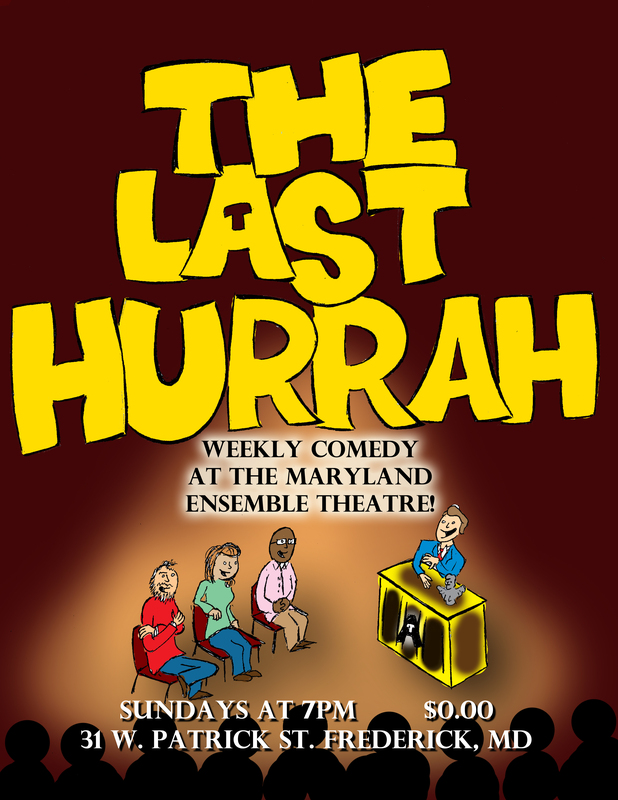 Maryland Ensemble Theatre (MET) is proud to present The Last Hurrah, a free weekly comedy show in the new Stage 2 space. Every Sunday at 7pm, join host Kevin Cole as he welcomes a panel of comedy writers, actors and special guests to discuss the events of the past week, life, and whatever else comes to mind. While the panel will change from week to week, regular panelists include Lisa Burl (MET Company member, Balls Deep In Love), Karli Cole (MET Regular, Seemless, Annual Live 2), andAndrew Michaels(Annual Writer, Annual Live 2). Panel discussions will be broken up with special appearences from local stand up comedians, improv groups, and sketch comedy. The show aims to give local comedic talent an open space to try new things infront of an audience, while giving audiences one final hurrah before they have to return to their 9-5 jobs on Monday morning. Podcast episodes will be posted the following Monday.